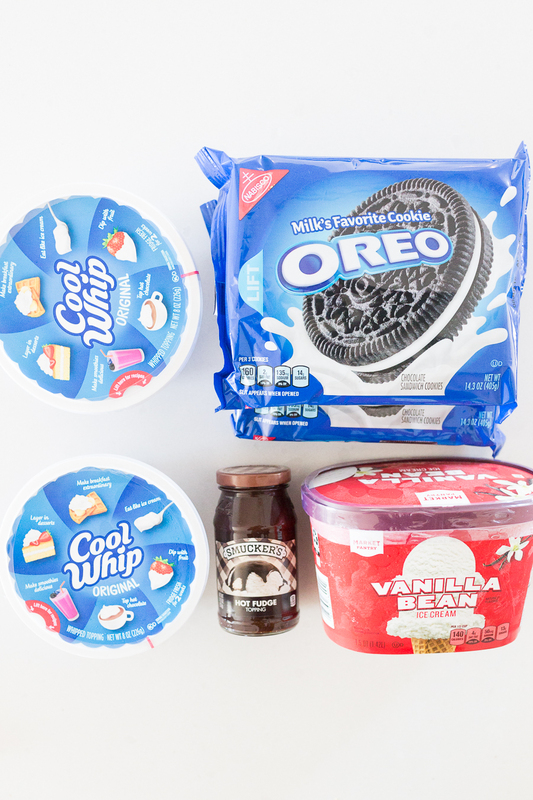 Here’s the deal, any recipe that only has 4 ingredients is my friend, and I’m your friend, which is why I’m sharing one of our absolute favorite dessert recipes of all time today — Quick and Easy Oreo Madness Dessert Recipe. This is that dessert. You know, the one my kids ask for on their birthdays and the one my kid’s friends hope that I make every time they come over. 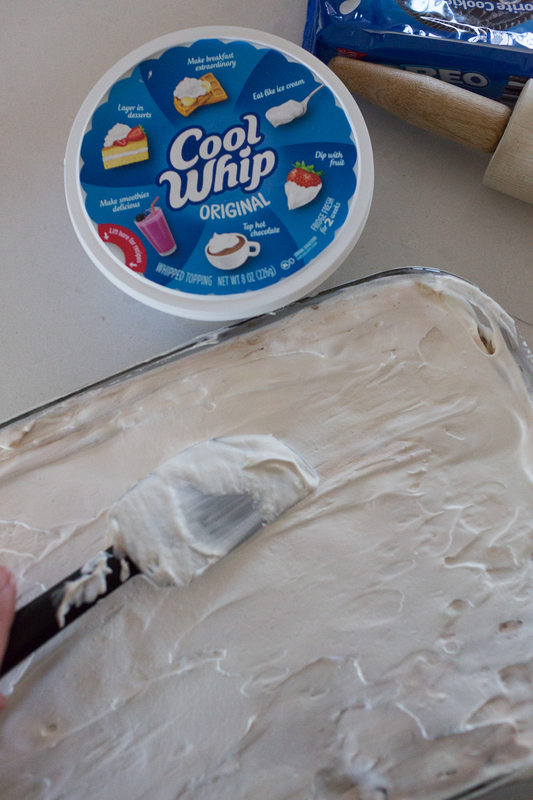 It’s the dessert that gets gobbled up without so much as a crumb left at every party I take it to and it’s that dessert that you can take to anything, anywhere and it will be a hit. And do you want to know the best part? It’s so darn easy. 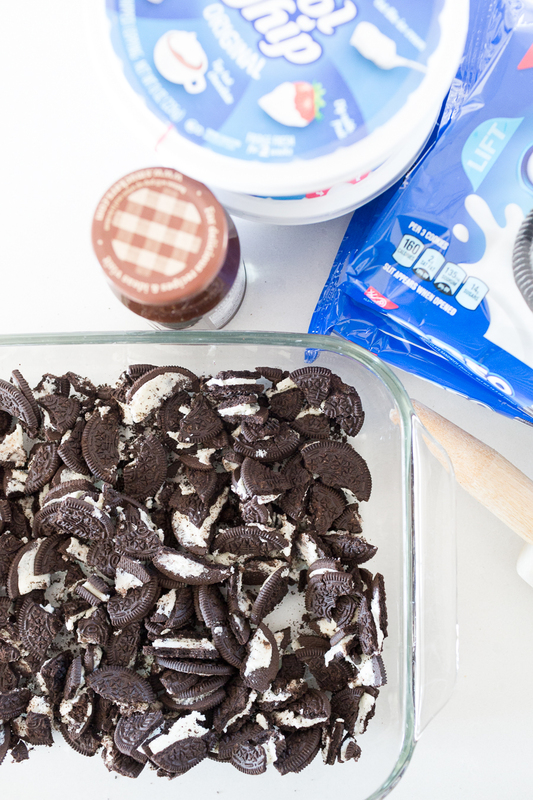 I have perfected making this dish over the years so that I only dirty one pan and I’m going to share with you all the details of how I make it so that this Quick and Easy Oreo Madness Dessert Recipe can become one of your family favorites too hopefully. First of all, here is what you will need. Yep, that’s it! 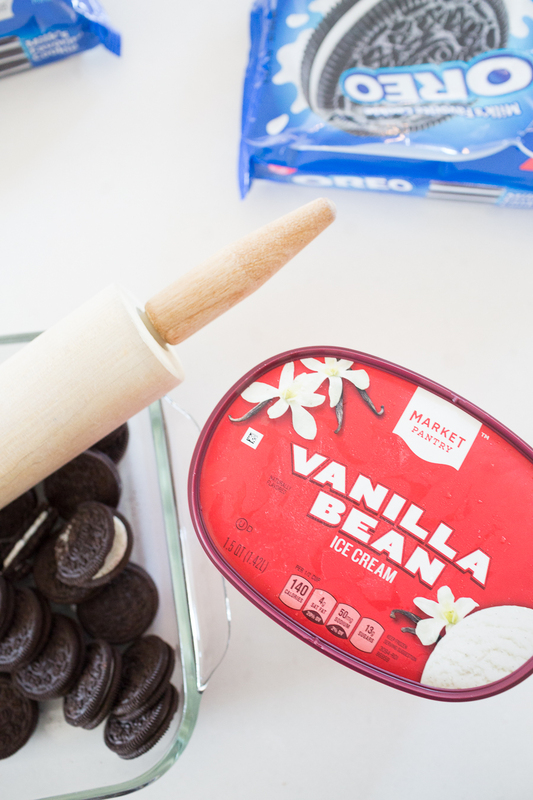 That’s all you will need to make this Quick and Easy Oreo Madness Dessert Recipe. Gosh, I love stuff that is easy. 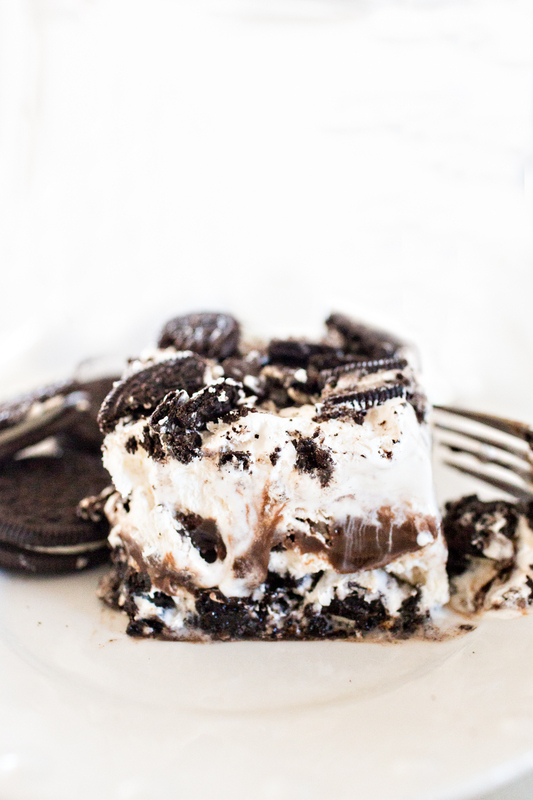 I like to leave the Oreos in larger chunks. That’s just me. 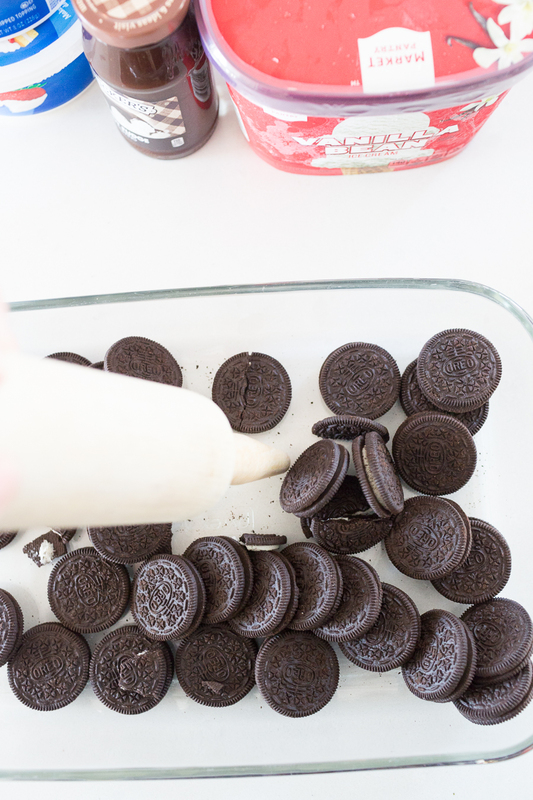 Feel free to smash them up as much as you want but I just kind of use the rolling pin to break up the Oreos and I leave them in chunks. 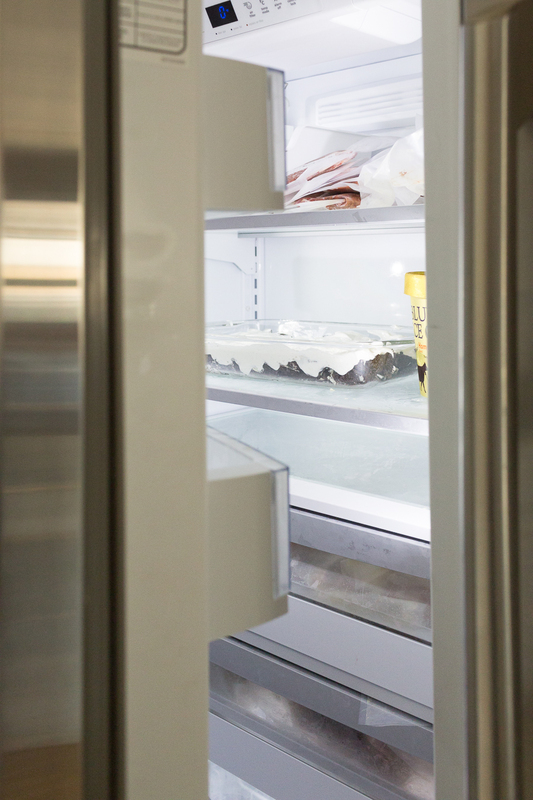 Yes, I took a picture of my microwave because softening the ice cream is important. 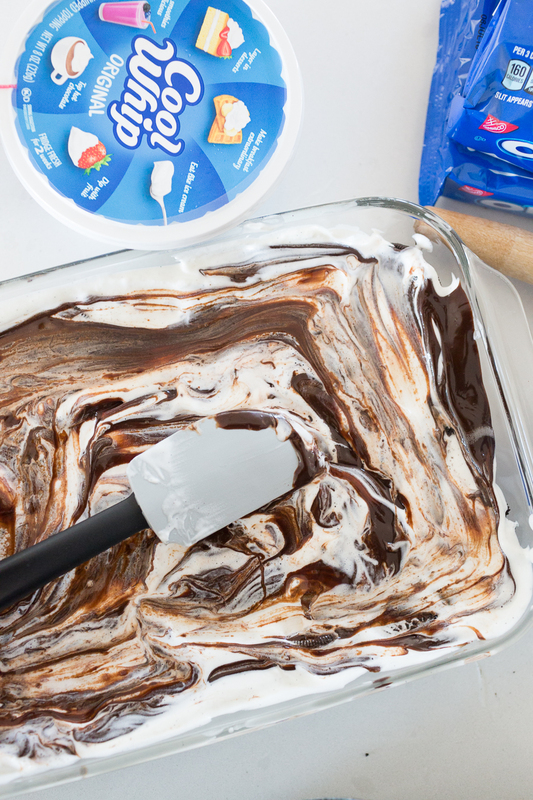 You want it to be soft and mushy so that you can spread it all over the Oreos, but you don’t want to be liquidy (is that a word because I just made it one if not). 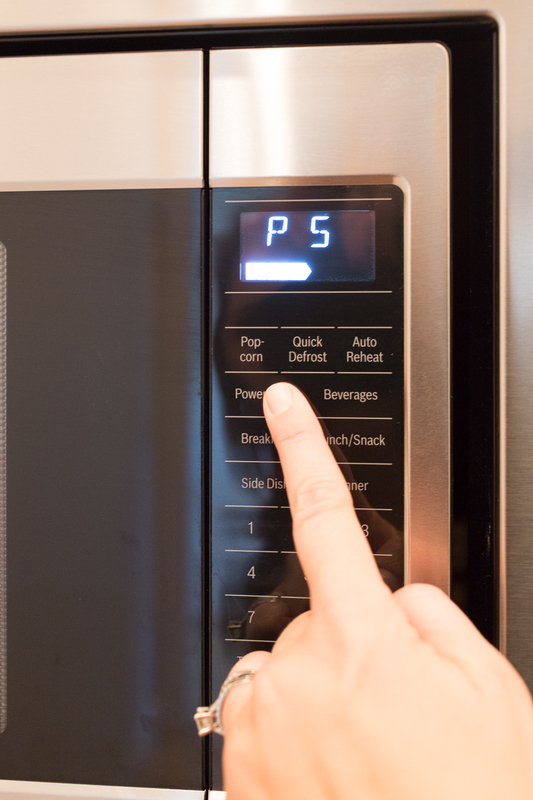 I put my ice cream on power level 5 and microwave it for around 3 minutes. 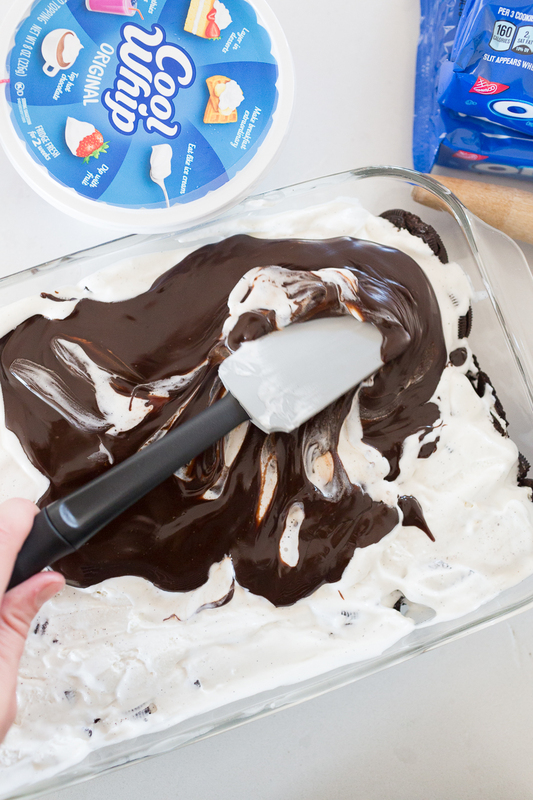 After you soften it, you want to pour it on top of the Oreos and use a spatula to spread the softened ice cream evenly over the Oreos (see picture below). 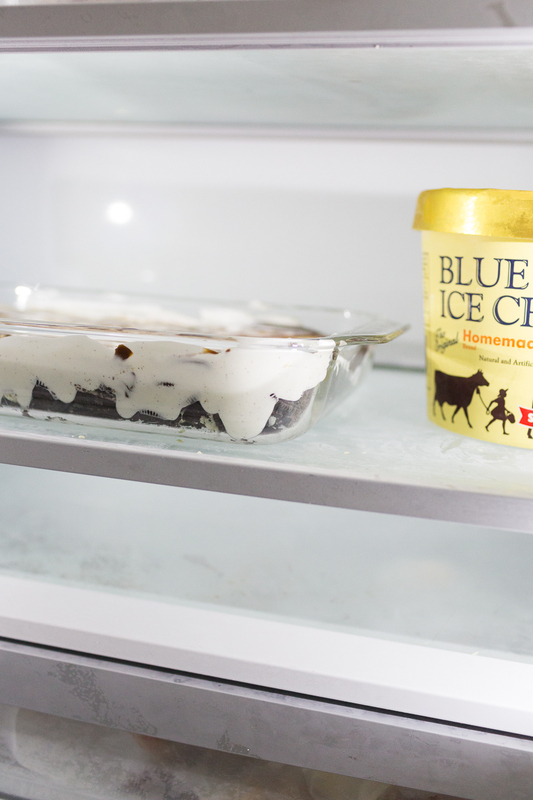 You want the ice cream to freeze back over before you put the fudge back on, if possible. I do have to say I’ve made this dessert in a crunch though and have skipped this step. 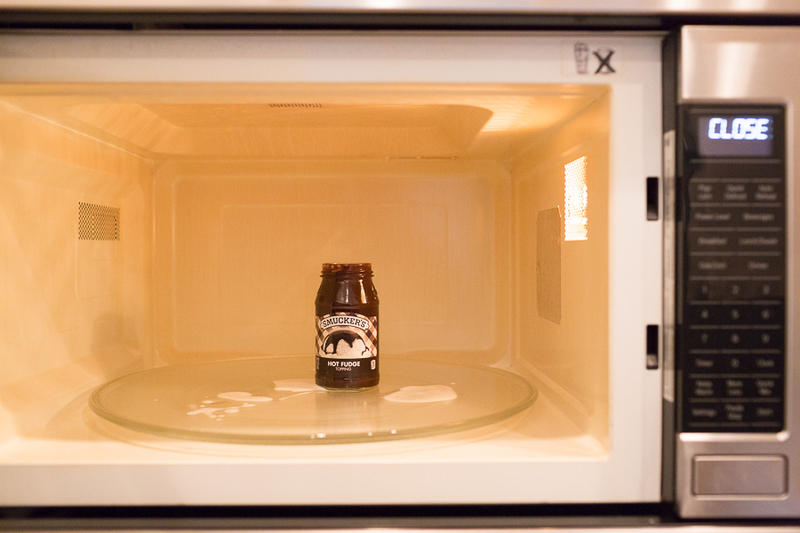 It’s preferable, though, to put it back in the freezer for an hour or so before you pour the hot fudge on top. 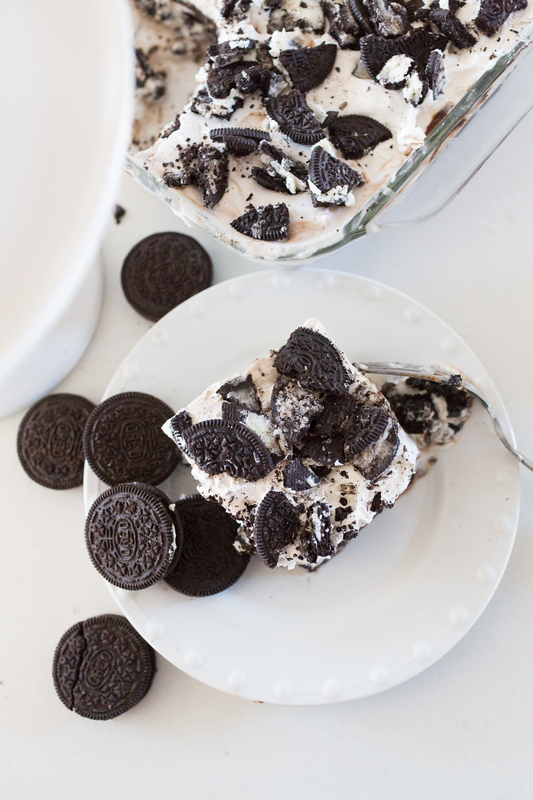 I think you see where I’m heading with this Quick and Easy Oreo Madness Dessert Recipe and it’s pure party in your mouth amazingness, trust me. 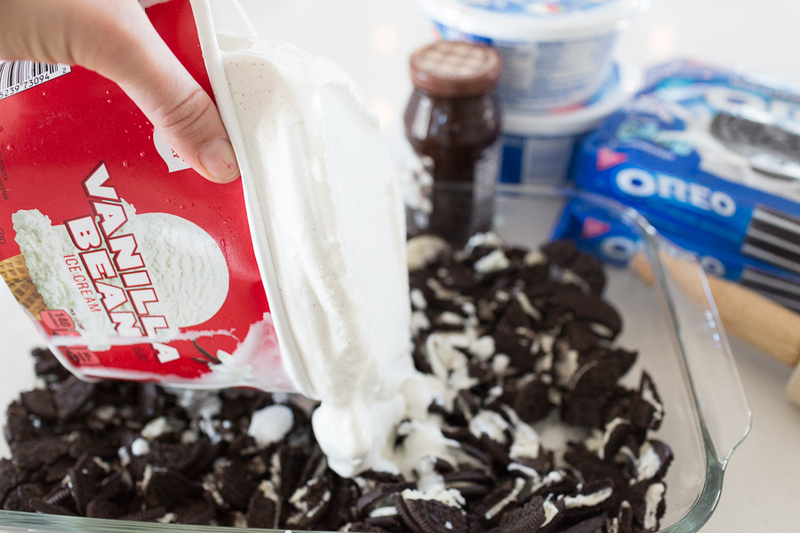 Now here’s the deal, I’m not telling you what you should or shouldn’t do, but I am telling you that yes, I use almost an entire package of crushed Oreos for the topping too. We take our dessert seriously in the Miller household and we don’t like to skimp on our Oreo Toppings. Set Out 10 to 15 minutes before Serving to Soften. 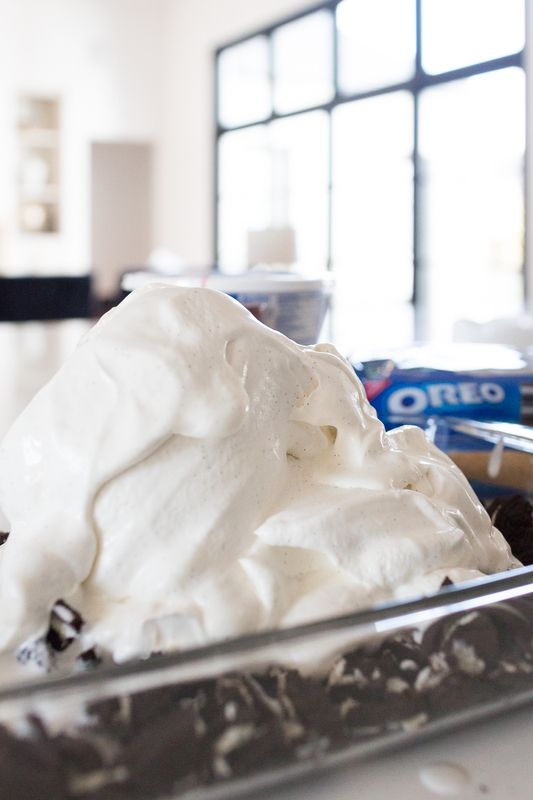 Just look at that ooey gooey Oreo ice cream hot fudge Cool whip amazingness. 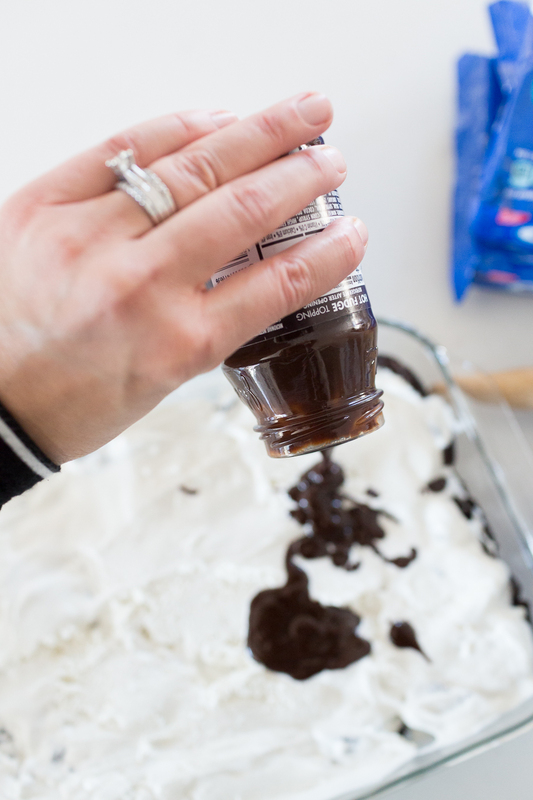 This Quick and Easy Oreo Madness Dessert Recipe is a Miller Family favorite and I hope it will be one of your family favorites now too! 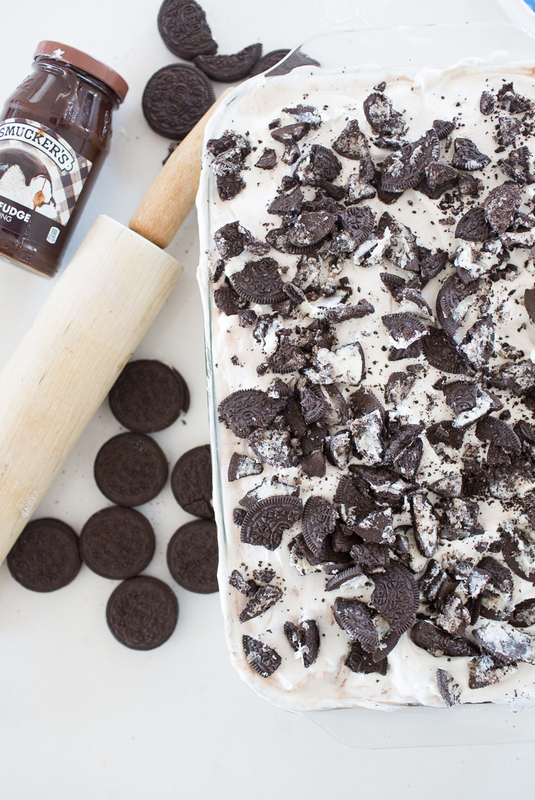 Thanks for stopping by to check out our family favorite Quick and Easy Oreo Madness Dessert Recipe. If you would like more recipes, you can subscribe to our blog to never miss a post, check out the food section of our blog, and/or follow us on Instagram and Pinterest.